Client was suffering corrosion on their flanges from cooling tower chemicals. This was their only nitrogen line coming into the plant so replacement was not an option. 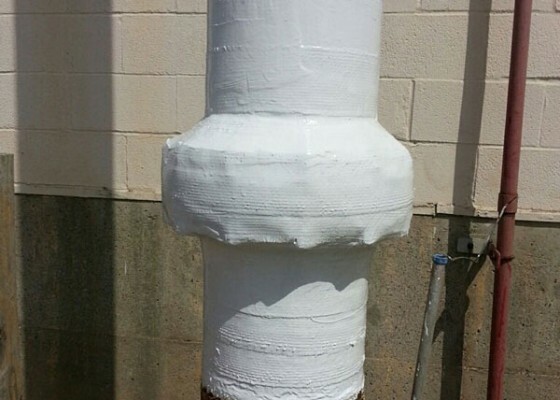 Contracting & Materials, Inc. was able to provide a leak stop and then use an ASME compliant wrap to eliminate future corrosion and structurally strengthen the existing piping. Copyright © Contracting and Materials, Inc.